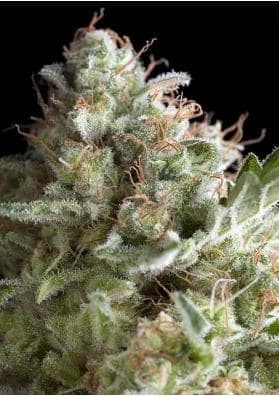 White Widow from Pyramid is this seed bank's version of one of the most renowed cannabis strains worldwide. 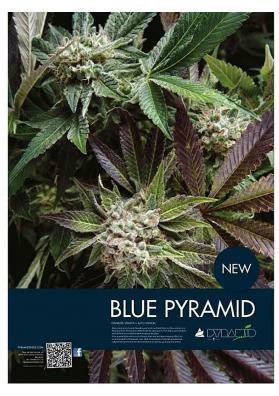 Very easy to grow and suitable for all types of growers. White Widow from Pyramid is this seed bank's version of one of the most renowed cannabis strains worldwide and was created by Shantibaba in the 90's. This hybrid has definitely a unique profile: top quality, fast flowering, huge levels of THC, amazing effect, ease of cultivation, structure completely covered by a white resin and delicious flavor. It has everything!! Finally, this speciment is also very useful for medicinal applications. This strain gives an intense effect due to its high THC content reaching 21% inducing you in a deep and devastating experience, extremely well balanced due to its hybrid inheritance and having a fruity caramel taste and sweet aroma. The plant is very easy to grow thus being suitable for all types of growers. It is durable and adapts perfectly indoors and outdoors and in all cultivation methods. In this way, this strain will give no problems. In a growing room the plant can reach heights ranging from 75cm and 1 meter and a half yielding productions that after 55-60 days can reach half kilo per square meter, if the plant has an appropriate light regime of 600W. In the oustide it can reach heights ranging from 110cm and 2 meters and it will be ready to harvest in September with amazing productions of between 250 grams and 1kg per plant. Let yourself be seduced by this white widow of top quality, you will not be disappointed!